Hove and Spornes is situated south on the island Tromøy, only 15 minutes by car, bus or boat from the city center of Arendal. The recreational areas are protected, since it is part of the southern moraine. The area is adapted with walking paths and resting areas along the sea. There is a beach and kiosk at Hove camping, and kilometres with beautiful skerries to walk on. The beaches at Hove are fine, family-friendly beaches, where smooth, coastal rocks are close by, for those who prefer this. There is a special beach for the disabled, and a playground, cafeteria, high rope course, toilets and a kiosk at Hove Camping and Hove leirsenter. Wannado has a high ropes course (Hove Klarepark) at Hove Leirsenter. Here we have zip-lines ropes and logs for balancing and giant ladders to climb. All made in the trees 5-10 meter above the ground. The park is open every sunday for drop in from 11:00 – 16:00. Hiking. There are many walking paths in Arendal, and it is very popular to go walking in the Hove-Botne area on Tromøy. You can park at Hove camping or Hove leirsenter, and take a short or long walk, whatever suits you best. 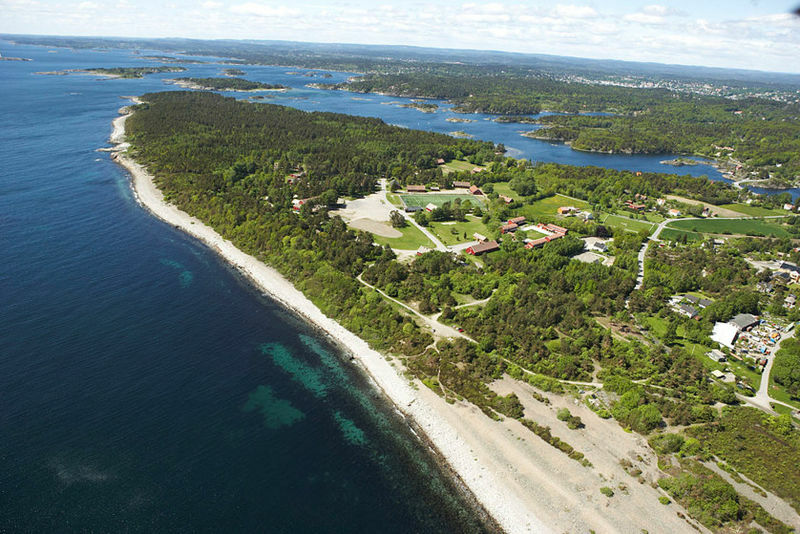 Other popular excursion areas are the island Merdø, just outside Hove and close to the race area.